Uber. Is it a ride-sharing service, a scooter company, or a self-driving truck company? In its wildest “Uber for everything” imagination, everything that has wheels is a safe bet. And, now, the consumer can add grocery delivery to their perceptions of what Uber can offer them. 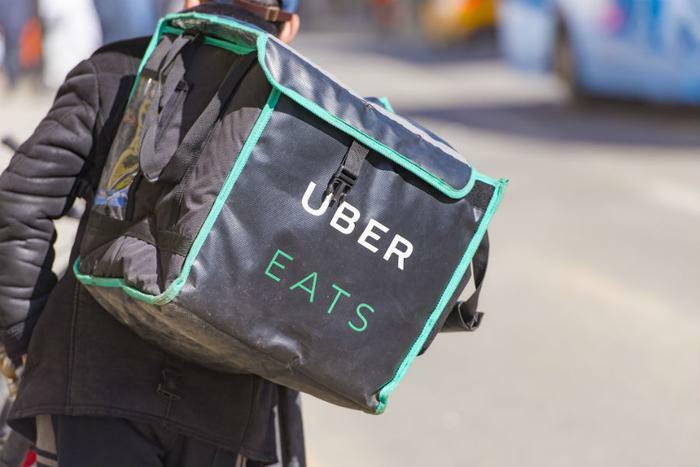 The company has had a $6 billion windfall in restaurant meal delivery, and Uber’s CEO Dara Khosrowshahi says extending that idea to the grocery world is only natural. “With Eats, we’re getting into the business of moving food around. I think that this product of delivering great quality food to you at home in 30 minutes or less is magical and is going to move into grocery in a way that’s fundamental, and a lot more people are going to be eating at home … you can absolutely see grocery as being an adjacency,” Khosrowshahi said, according to Yahoo Finance. As Uber looks to take on this niche as a solo act, it’s not going to be easy. Already in the game is Amazon Fresh, Postmates, Instacart, and Wal-Mart, who’s been desperately trying to find its place in the category. In March, Walmart announced it would be expanding its home delivery to an additional 800 stores by the end of this year, with grocery transportation provided by companies including Uber. However, the project was quickly shuttered without Wal-Mart giving much of a reason why. Wal-Mart has decided to re-enter the grocery delivery fray with “Spark Delivery,” a service using drivers who use their own cars to make fast deliveries, similar to Amazon Flex. In reality, Uber’s piece of the pie is not even a full slice. To many, Uber may seem like a monolith along the lines of Google or Microsoft, but the fact is that transportation “is a $6 trillion business and we’re 1% of it,” Khosrowshahi said. However, the company thinks it’s got a bead on the future in hopes that the public will move away from car ownership, going as far as donning a George Jetson costume and offering air commuting by the time all is said and done. The company’s grocery delivery component appears to have the consumer’s blessing, and the consumer’s buy-in will only add to the company’s fervor -- not to mention its value when it goes public. In a recent poll asking U.S. consumers how much they would be willing to pay for home grocery service, 29 percent of the respondents said that they were willing to pay between one to five U.S. dollars for delivery costs.